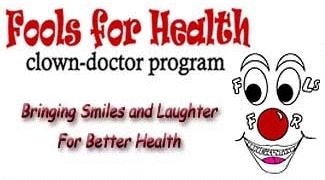 The Humour Foundation’s core project is Clown Doctors, touching the lives of over 60 000 people every year. The focus is children’s hospitals, and Clown Doctors are now part of hospital life in all major children’s hospitals around Australia. Caring clowns also cheer up adult patients and play a role in palliative care. Ambassador Clowns have also visited world trouble spots such as East Timor and Afghanistan.